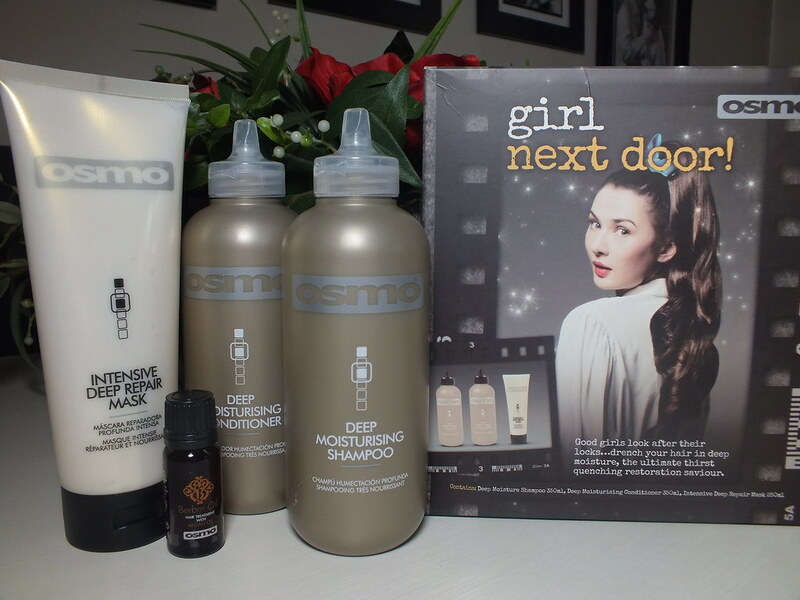 OSMO is a haircare brand I'm new to and was quite excited when the heavy OSMO Girl Next Door gift set arrived on my doorstep. 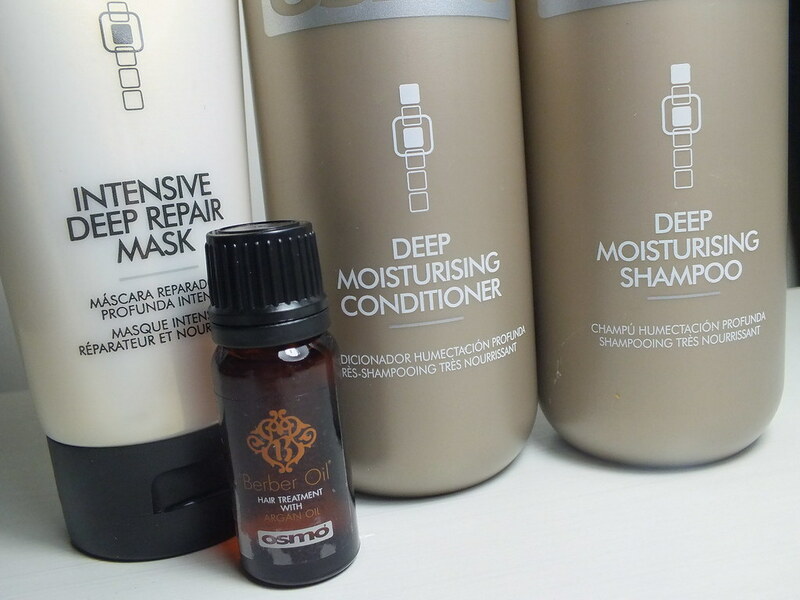 The Girl Next Door set contains large 350ml bottles of their Deep Moisturising Shampoo and Conditioner, a 250ml tube of the Intensive Deep Repair Mask and a bonus their argan oil treatment, Berber Oil. The kit tells us 'good girls look after their locks… drench your hair in deep moisture, the ultimate thirst quenching restoration saviour' - just the thing for hair that is suffering against the shocking wind and rain that has hit us the past week. I have been using the shampoo and conditioner for the past few days and I'm in love with it. 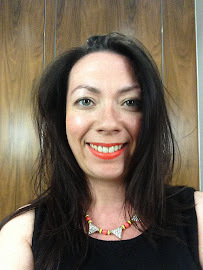 I'm always anxious when trying new shampoo as my hair will literally either love or hate the product and in the worse cases I can be left with hair looking greasier and/or lacklustre than when I popped my head under the shower. In this case my hair looked healthier and silkier than it has done in ages and this without any effort other than washing and blowdrying. I wondered if it was a first use fluke but the results have repeated themselves and as an aside I love the bottles design with their cap. I know it's not about packaging but the design of the lids makes reaching and popping the cap aside so much easier. I've yet to try OSMO Intensive Deep Repair Mask but will be doing so this weekend to give my hair a boost from daily blow drying and my curling tong plans for this evening. The mask has been designed for 'over stressed' and 'heat traumatised' abused hair - sounds quite dramatic doesn't it, poor hair but the mask will treat with extracts of Jojoba and breathe life and lustre back into the hair. I for one can't wait especially as the shampoo and conditioner have been such a success. A little googling found OSMO for sale on Feel Unique link although we've missed the last Christmas posting dates so it might be one to order with any Christmas money you receive but if you do fancy this as a last minute gift for someone it's available on Amazon link for express delivery by Christmas Eve. If you're not one to rely on the services of Royal Mail you can go to the OSMO stockist page link where there are an abundance of locations you should be able to track this down in your local area. I'm certainly going to explore more from this brand in 2014, what about you have your heard of OSMO before? Maybe you've seen it in your local hairdressers? I haven't tried anything from their range but I love the sound of it, I need something to heal my hair after the holidays! Mickey Flanagan - Shall we go out out?